Matrix Packaging Machinery, a division of Pro Mach - Matrix is an industry-leading manufacturer of vertical form fill seal (V/F/F/S) packaging equipment for all types of flexible packaging..
Matrix is an industry-leading manufacturer of vertical form fill seal (V/F/F/S) packaging equipment for all types of flexible packaging. Matrix Packaging Machinery, powered by Pro Mach, is a leading provider of high quality, vertical form-fill-seal equipment (VFFS). Since 1988 Matrix has built a strong reputation for delivering rugged, well engineered, easy-to-use packaging systems backed by outstanding customer support. Nonproprietary components are used allowing Matrix to deliver cost-effective VFFS solutions. The Matrix facility near Milwaukee Wisconsin is the Pro Mach Flexible Packaging Group headquarters. 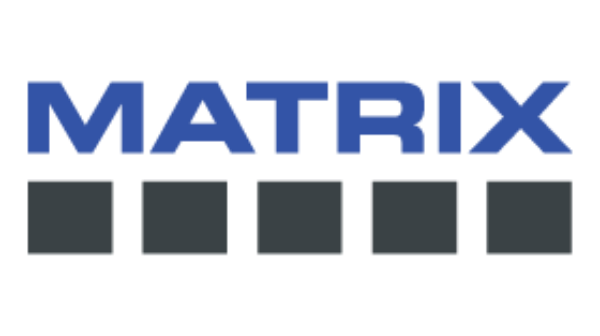 With over 135,000 square feet of space for manufacturing, assembly, spare parts inventory, and R&D machine development and design, Matrix supports a complete flexible packaging product line including pre-made and rollstock pouch machines and stickpack and sachet systems.